TheWrap is reporting that according to their sources, the second Star Wars Anthology film will be all about your favorite Mandalorian bounty hunter: Boba Fett. Disney had no comment, so consider this solid but unofficial. This would be the film that Josh Trank is no longer directing for whatever reason. A new director hasn’t yet been announced for the film, but I suspect we’ll see a shortlist soon. This as-yet-untitled Star Wars Anthology film is currently scheduled for release in 2018. 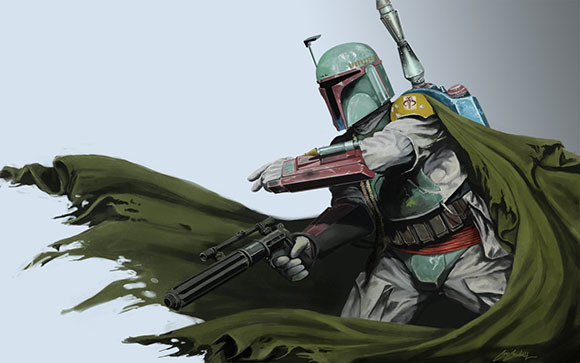 If this is true (and it likely is), who should play Fett? Should they give it to Temeura Morrison again for continuity’s sake, or should they recast? If it’s young Fett movie, they could give it to Daniel Logan, the New Zealander of Maori descent who played him in Attack of the Clones. He’s nearly 30 now, so that would work out age-wise. They’ll still probably recast the character as some white guy, though. Oh, and who the hell should they get to replace Trank?